My second blue ribbon ever. 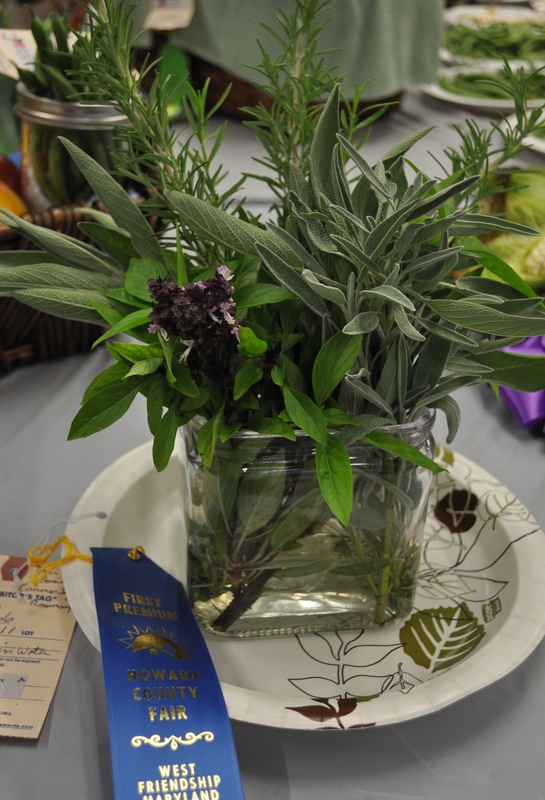 I have lots more from the fair, but this year again my herbs were the star of my entries. 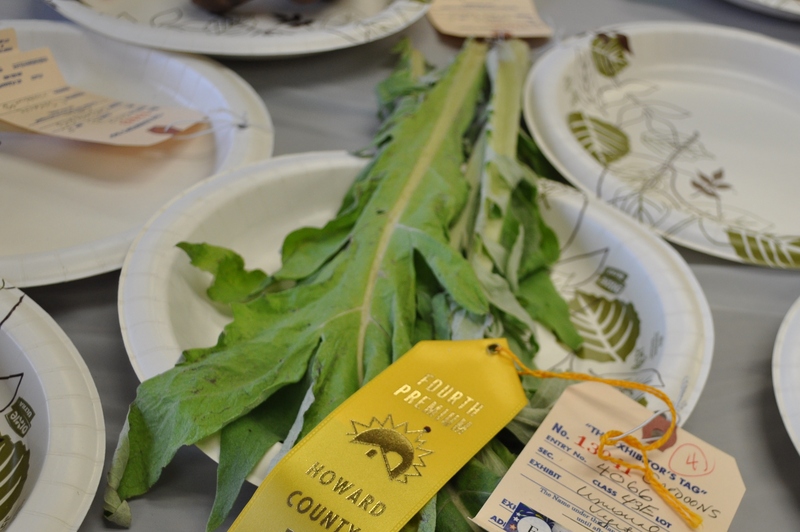 Again, my heirlooms fell short, but I did get three more fourth place ribbons and a fifth place ribbon. Fifth place for my ornamental vegetable display. This is the first time I did an ornamental display. I am learning from the other participants how to arrange what I submit. I was pleased to get the ribbon though. And for most unusual vegetable. My cardoons. I’m happy. 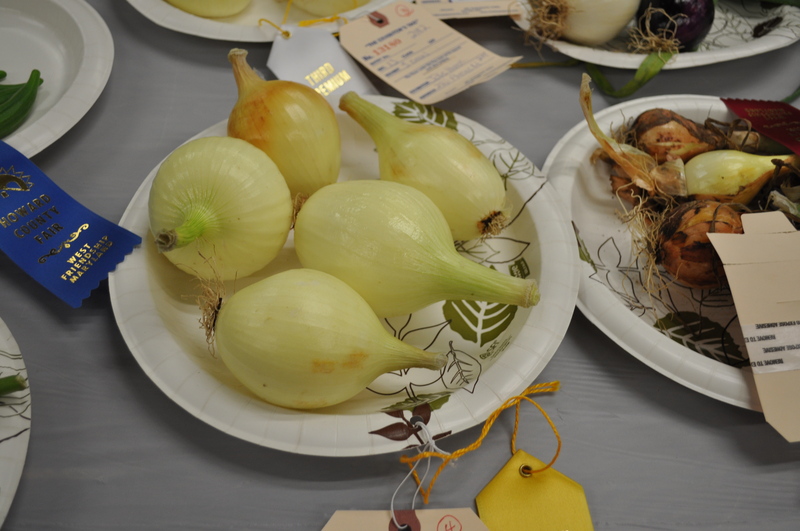 I did twelve entries and won five ribbons. Not a bad return on investment, so to speak. 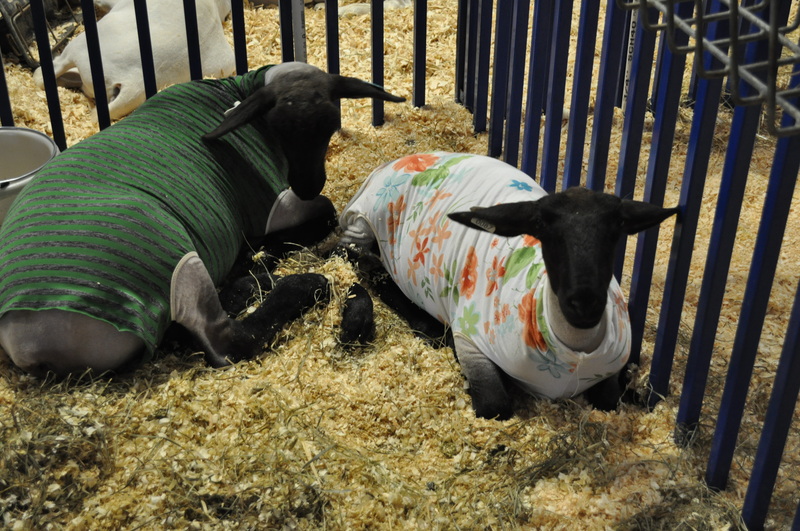 I love participating in the county fair. It’s small enough to not be intimidating, but large enough to have some serious competition. The people are really nice and help us newer entrants. If I could only get my heirloom tomatoes to ripen in time, I would be ecstatic. We will be at the fair at least four days, maybe five. 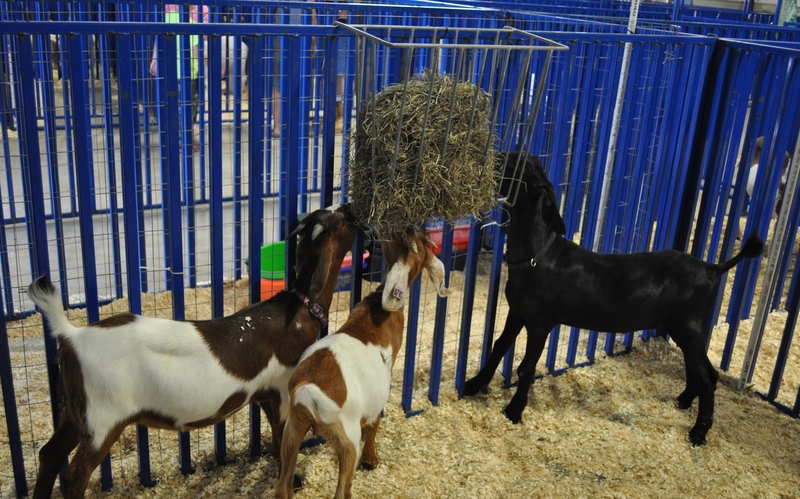 We love to watch the 4-H’ers show their animals. We visited our friends in the barn, and checked out some of their daughter’s animals. Like her lambs. All decked out to keep nice and clean before they are shown. And, some of their goats. Tomorrow we will go and visit, seeing how their pigs are doing. They weren’t there yet, yesterday. I am so impressed with the dedication of the 4-H’ers to their animals. To us. the fair isn’t about the midway and the rides, it’s about the community. 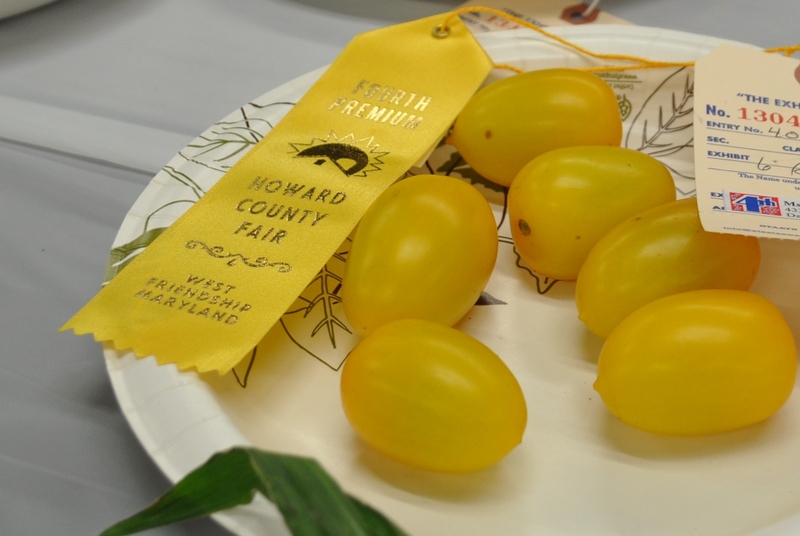 Posted in Commentary, Community, Farms, Food, Gardening, Hobbies, Howard County, West HoCo and tagged commentary, community, farms, Food, gardening, heirloom tomatoes, hobbies, Howard County, tomatoes, West HoCo. Bookmark the permalink. WTG on your Blue Ribbon! 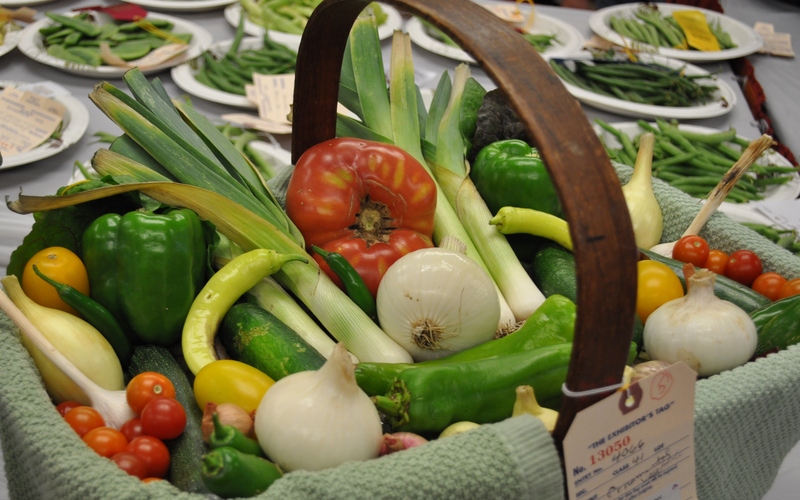 Congratulations, the herbs look awesome (as do the veggies)!